When enabled, all devices will initiate the enrollment process without requiring any further action. 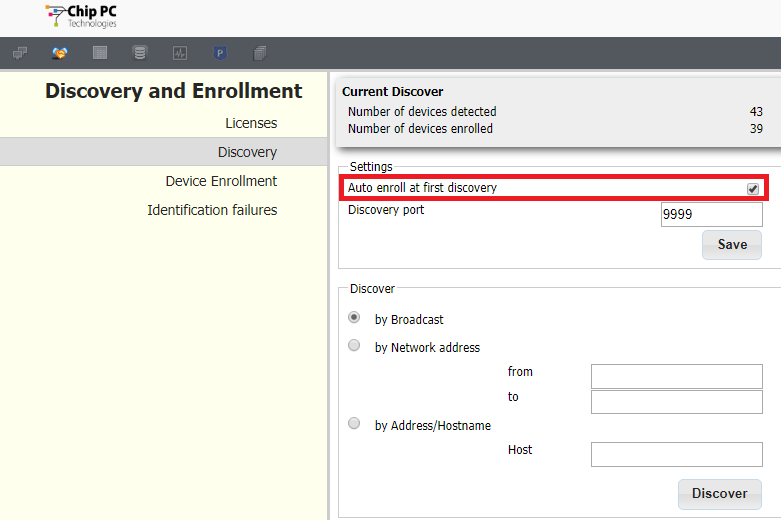 Note that this feature applies to all new devices discovered by the server and all new devices that register themselves onto the server (using DHCP Scope option, DNS Name or IP address). Once the enrollment process is started, the process is the same as Manual Enrollment. Please refer to Manual Enrollment for further information on the enrollment process.